1. She was Bob’s Queen of Folk and the Apple of Steve’s Eye. Joan Baez and Bob Dylan in 1963 during the March on Washington. 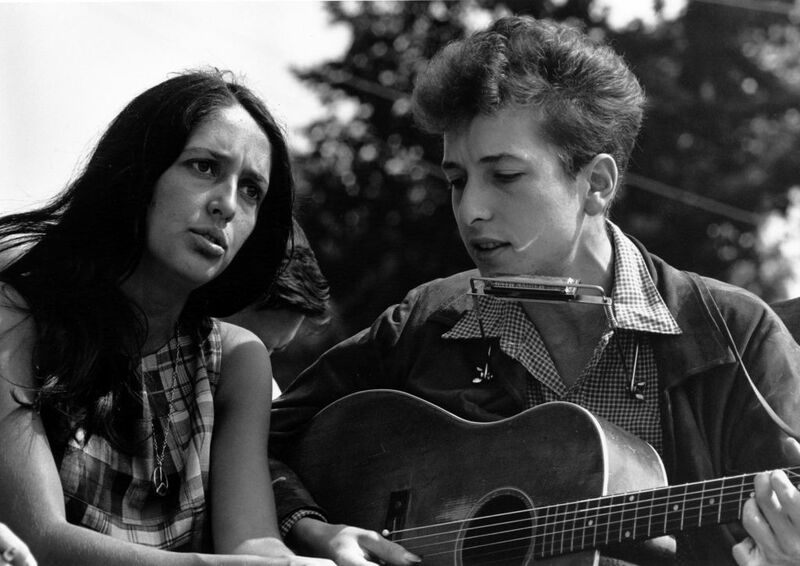 Joan Baez was already a global star when she met Bob Dylan in 1961, and she played a big role in helping him launch his career. Later, she dated Steve Jobs – who happened to be a huge fan of Bob Dylan. She was 41, and Jobs 27. 2. She was a teen star in the folk music world. 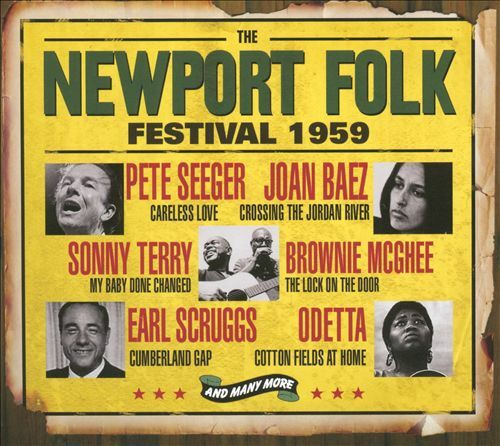 Joan was only 18 when she first performed at Newport Folk Festival. A year later, she recorded her first solo LP for Vanguard Records, the beginning of a prolific 14-album, 12-year association with the label. Her earliest records — with their mix of traditional ballads, blues, lullabies, Carter Family, Weavers and Woody Guthrie songs, cowboy tunes, ethnic folk staples of American and non-American vintage, and much more — won strong followings in the U.S. and abroad. Joan Baez sang about freedom and civil rights everywhere, from the backs of flatbed trucks in Mississippi to the steps of the Lincoln Memorial at Rev. Dr. Martin Luther King’s March on Washington in 1963. 4. Rev. Dr. Martin Luther King Jr. visited her in prison. A 2002 Democracy Now! interview with Joan Baez revealed that Dr. King visited Baez, who was imprisoned for blocking the entrance to the Armed Forces Induction Center in Oakland, at Santa Rita prison. He spent about an hour with the singer and gave an impromptu speech later to a group of demonstrators outside the prison. 5. On top of being the Queen of Folk music, she was (and remains) a very serious activist. Joan Baez on April 26, 1966. 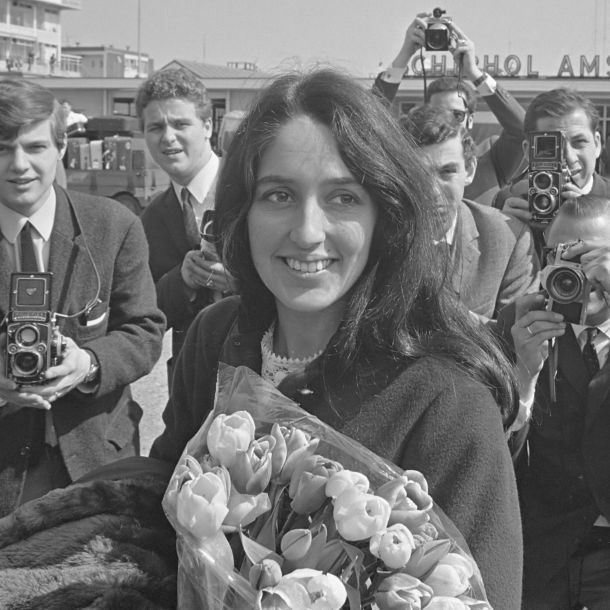 Joan Baez left her footprint on many major civil rights movements in the ’60s. In 1964, she withheld 60 percent of her income tax from the IRS to protest military spending and participated in the birth of the Free Speech movement at University of California, Berkeley. A year later she co-founded the Institute For The Study Of Nonviolence near her home in Carmel Valley. 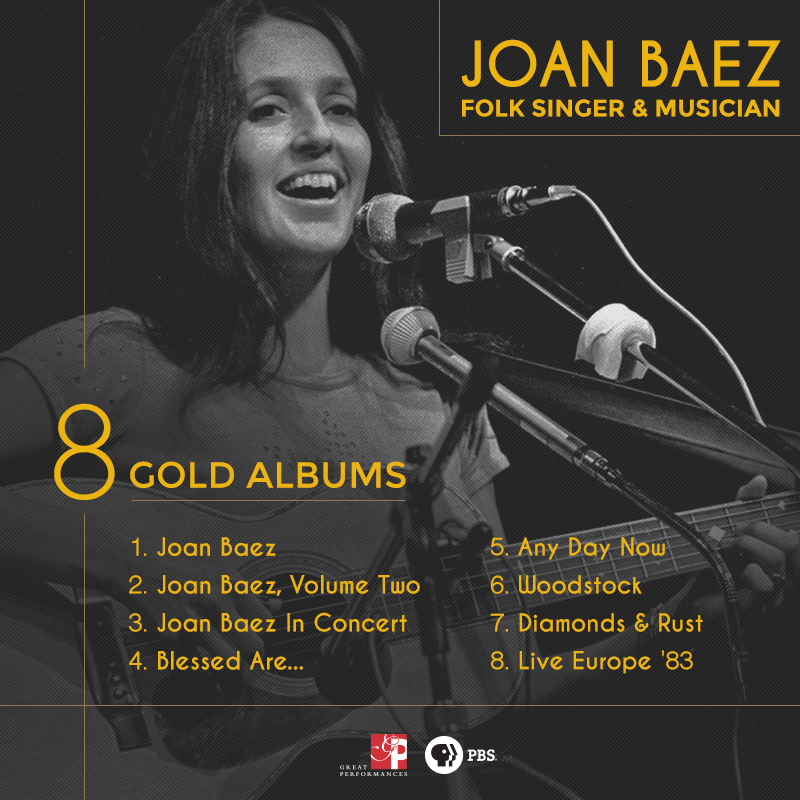 In 1966, Joan Baez stood in the fields alongside Cesar Chavez and migrant farm workers striking for fair wages and opposed capital punishment at San Quentin during a Christmas vigil. In 1968, she recorded an album of country standards for her then-husband David Harris. He was later taken into custody by Federal marshals in July 1969 and imprisoned for 20 months for refusing induction and organizing draft resistance against the Vietnam War. As the war escalated, Joan traveled to Hanoi with the U.S.-based Liaison Committee and helped establish Amnesty International on the West Coast. 6. She is perfectly bilingual and even produced an album in Spanish. 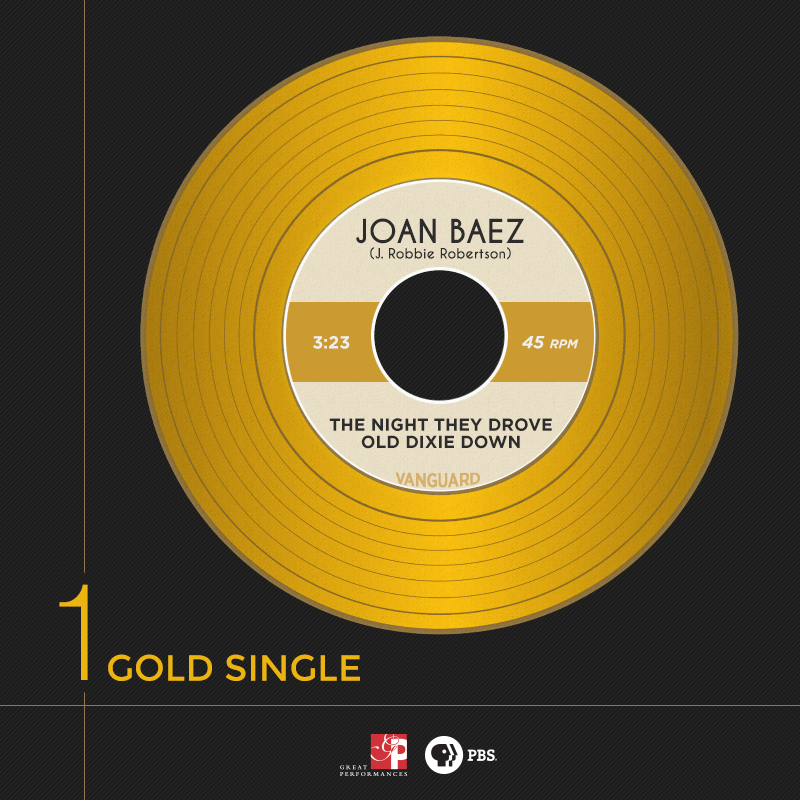 Joan dedicated her first album sung entirely in Spanish to those suffering in Chile under the rule of Augusto Pinochet, a record that inspired Linda Ronstadt, later in the ‘80s, to begin recording the Spanish songs of her heritage. One of the songs Joan sang on that album, “No Nos Moveran” (We Shall Not Be Moved) had been banned from public singing in Spain for more than 40 years under Generalissimo Franco’s rule and was excised from copies of the LP sold there. Joan became the first major artist to sing the song publicly when she performed it on a controversial television appearance in Madrid in 1977, three years after the dictator’s death. 7. She was also prominent in the struggle for LGBTQ rights. In 1978, she appeared at rallies on behalf of the nuclear freeze movement and performed at benefit concerts to defeat California’s Proposition 6 (Briggs Initiative), legislation that would have banned openly gay teachers from public schools. She also participated in the memorial march for assassinated San Francisco city supervisor, Harvey Milk, who was openly gay. 8. 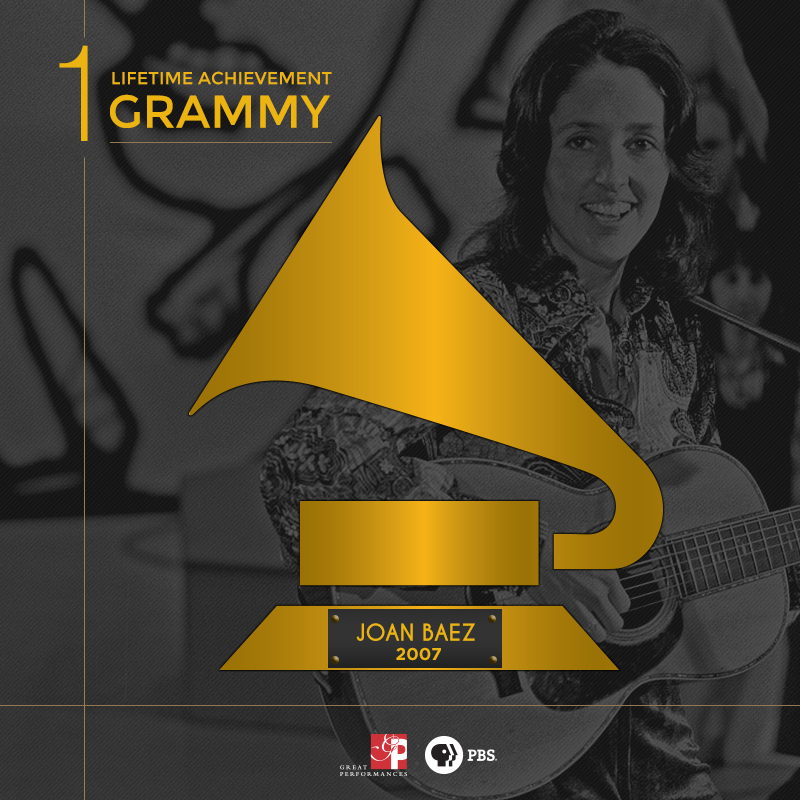 Joan Baez has many awards under her belt.